Lulu Guinness L776 is a Full Rim frame for Women, which is made of Plastic. The Lulu Guinness L776 Eyeglasses feature the following logo: LULU GUINNESS on temple. Lulu Guinness L776 Eyeglasses come with a cleaning cloth and protective carrying case. This was my first time ordering glasses online. I was nervous that I would really regret it. 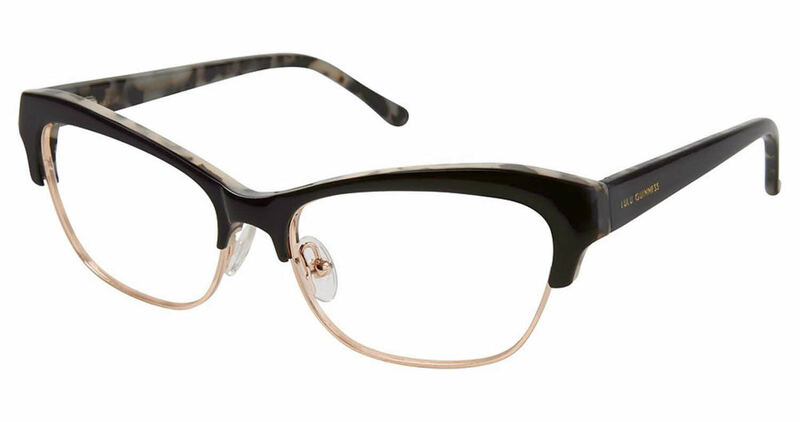 I had tried these frames at my eye doctor's office and loved them -- but my prescription, plus the high mark up from the doctor's office, put them at almost $600. FramesDirect.com had a wider selection of colors than my eye doctor and the price was almost half of what I would have paid. Ordering was easy, the glasses came quickly, and I LOVE THEM! I will never pay full price at the doctor's office again!